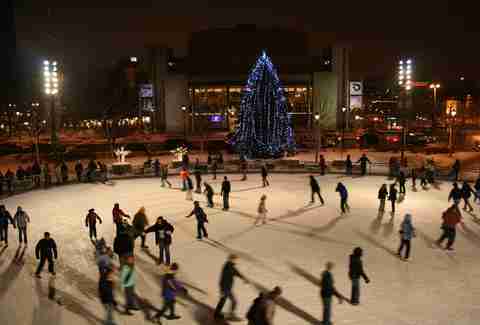 Winter is arguably Milwaukee’s most romantic season. Think of all the opportunities for cuddling, watching the nighttime snowfall, and getting snug in the corner booth of your favorite restaurant -- and that’s not even counting Valentine's Day, guys. If you're stuck in a dating rut, though, and have met a dozen Tinder dates all at the same bar, it's time to get a little more creative. 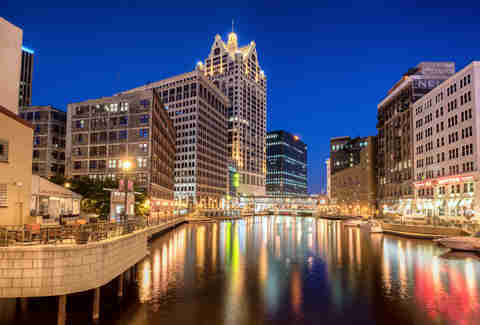 So bundle up and plan to woo your special Milwaukeean with one of these 20 actually great date ideas. If you’ve ever wanted to go ice skating in the middle of the city just like every character in every Christmas movie set in New York, then this is your place. It’s free, unless you count the skate rentals, and it’s bound to bring about some mittened hand-holding. The facility is small, so it’s an easy -- but very informative -- tour. The highlight comes at the end when you get to sample a ton of their alcohol, from maple rum to absinthe. Then head back upstairs and belly up to the bar for some great cocktails. Don’t forget to eat some free popcorn -- you’ll need it. You’ll laugh, you’ll drink, you’ll sing the theme song to Laverne & Shirley, and you'll learn about bungholes. Tours fill up fast with walk-ins, especially on weekends, so plan ahead and buy tickets. At Random is only open randomly, so it’s worth calling ahead to make sure they’re serving up their retro cocktails. From crushed ice and paper umbrella tiki drinks, to the best boozy ice cream shakes ever, this bar is dark, cozy, and totally unique. If it’s a little too early in your relationship to take a trip to the Bahamas, then just head to The Domes instead. 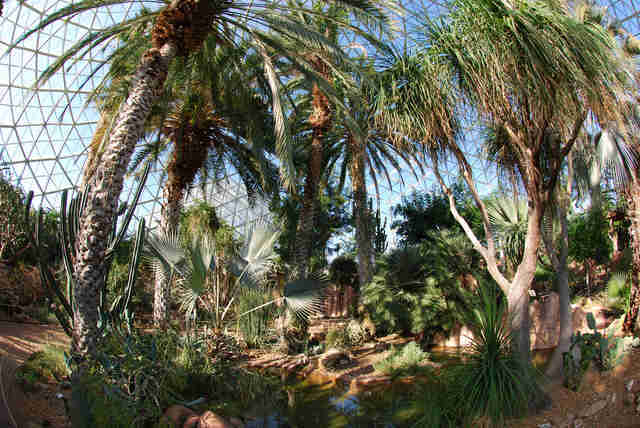 The tropical dome is full of palm trees, humidity, and secluded paths for a quick make-out session. Or if you prefer, walk and eat -- or bus and eat, for the lazy among us. Guided tours take you from one restaurant or bar to the next, where you’ll try a new Bloody, chocolate, pizza slice, or whatever fits the theme of your tour. 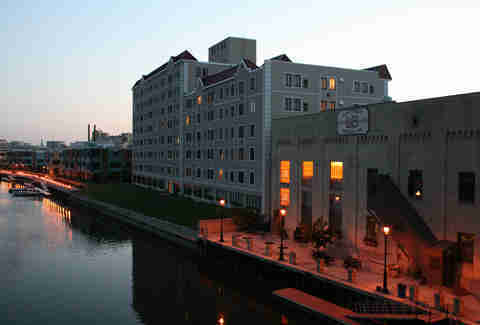 It’s a great way for new MKEans to explore together. 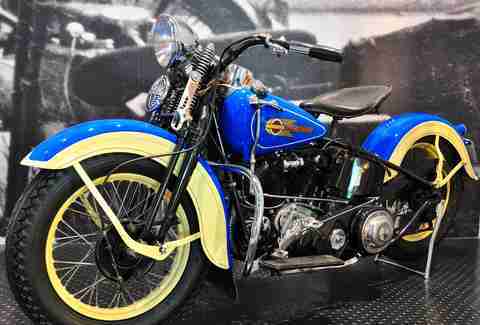 What better way to get your engine going than revving one at the Harley-Davidson Museum? After learning everything you ever wanted to know about H-D, have dinner and drinks at Motor without even moving the car (or bike). This huge park has everything from golf to botanical gardens, but the real fun comes in the winter. The main sledding hill at Whitnall Park is lit and open until 8:30pm, and there’s a concession stand with hot chocolate to warm your hands while you sip. Bowling and Milwaukee go way, way back, so what better way to take a fellow Milwaukeean on a date than by lacing up those uncomfortable rental shoes and throwing some balls down a lane? Landmark Lanes and Bay View Bowl are the two primo alleys, with dive bar digs and drink specials that'll give you and your date something to stick around for hours after your games have ended. 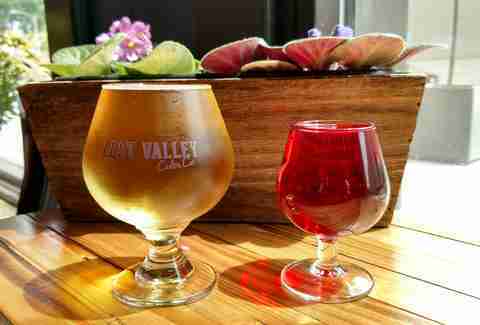 There are a million beer bars in Milwaukee, but only one real cider bar: Lost Valley Cider Co. This Walker's Point spot will give your date something different, especially if they aren’t terribly into beer, thanks to the 30 rotating taps to choose from, cider cocktails, and wine. And yes, there are a few bottles of beer, too. For as long as movie theaters exist, this date will never go out of style. Skip the big multiplexes in favor of the Avalon theater, with its old-school ambiance and full food menu of pizzas, sandwiches, and (of course) popcorn, all of which you can eat at your seat. That said, here’s a date-night pro tip: skip the in-seat dining and grab your meal at Avalon’s Mediterranean restaurant, Mistral, before the flick starts. Ladies, what better way to feel a date out than by seeing how loud they cheer for a full-on contact sport that isn’t football? 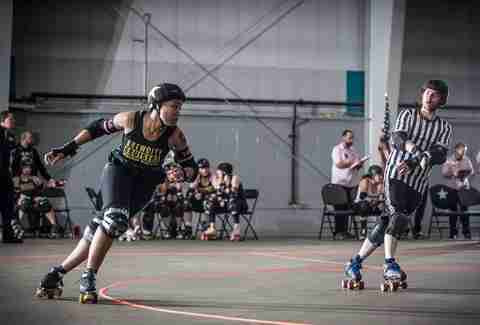 The Brew City Bruisers' season starts in January, and their bouts are raucous, highly entertaining, and full of punny names (like Maiden Milwaukee and Micro Bruisers). and then escape. Escape rooms -- where you and a group must figure out how to free yourselves from a locked room -- are popping up all over the place. They can be very beneficial to a relationship: if after 20 minutes you'd rather be anywhere but that room, chances are you're not a good match. The Riverwalk is a continuous path along the river through downtown and the Third Ward, and it's a great way to explore the city in a new way while checking out some public art. Since it's dotted with bars and restaurants, you don't even need to have a solid plan: just stroll, chat with your date, and stop where it looks interesting. Who says a date can only happen at night? Brunch is a big deal in Milwaukee, so we've got some pretty great restaurants that are only open during the day, like Blue's Egg and Engine Company 3. And just like an evening date, drinking is totally acceptable, so there's really nothing stopping you from thinking outside the dinner box. Lucky for us, arcades are now usually attached or located in bars. 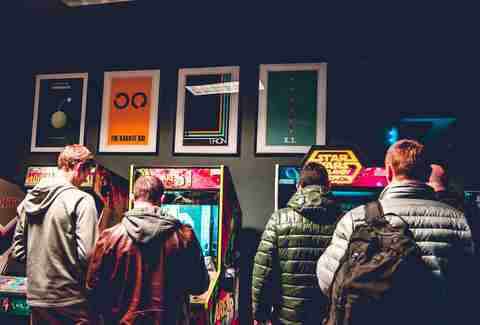 They're no longer the places where pimply teens congregate, but socially acceptable hangout spots for anyone with a nerdy bone in their body. The latest to open, 1983 Arcade Bar on Old World Third, has 22 classic arcade games, a smattering of pinball machines, bubble hockey, and a drink menu of craft beer and brightly colored sour cocktails. Imagine a place where you create your own mini golf holes from piles of weird obstacles, then play them, all while drinking in an underground bar -- that place is Nine Below, and it's a must for anyone who loved putt putt as a kid. This is a great one for group dates, so wrangle some friendly couples and go big with it. Kochanski's Concertina Beer Hall is a bar with two stages, Polish drinks, lots of history, and plenty of polka, rockabilly, honky-tonk, and rock shows. If your date can't appreciate that kind of music in a divey, unpretentious bar, then there's probably no hope for your relationship. 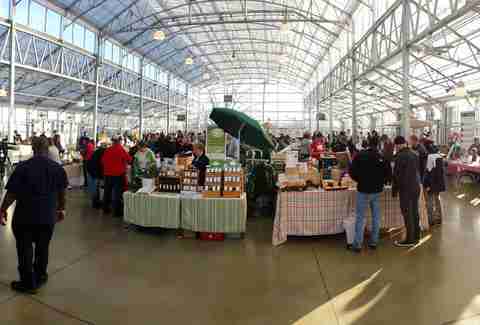 We all know about the Public Market, but it’s not well-known that there are cooking classes offered upstairs. The schedule is up in advance so you can see what strikes your fancy, whether it’s beer cheese soup or profiteroles. Bonus: Those cooking skills may come in handy later on in the relationship. 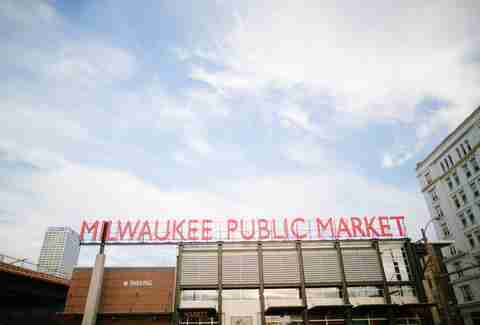 Lacey Muszynski is a Milwaukee writer who needs to schedule a date to Meritage. Follow her on Twitter @worthhersalt.